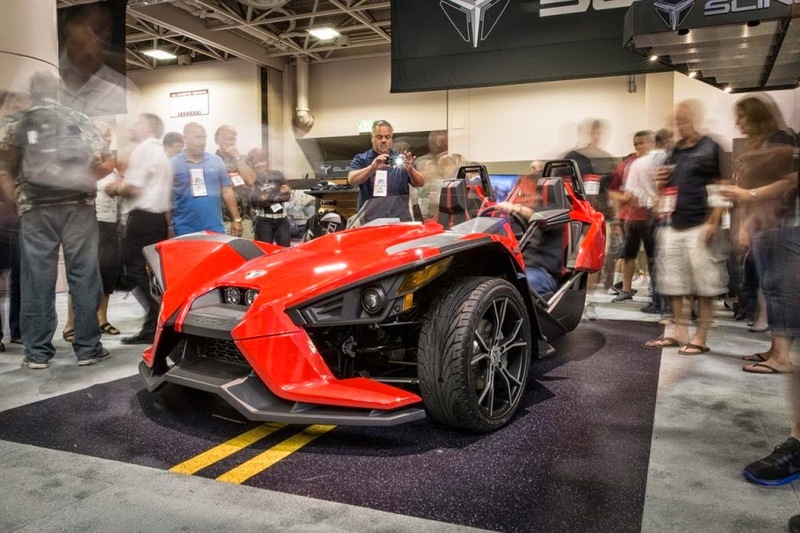 Polaris is an American company known for manufacturing snowmobiles and ATVs, but more recently it’s an open-air performance three-wheeler that caught our attention. 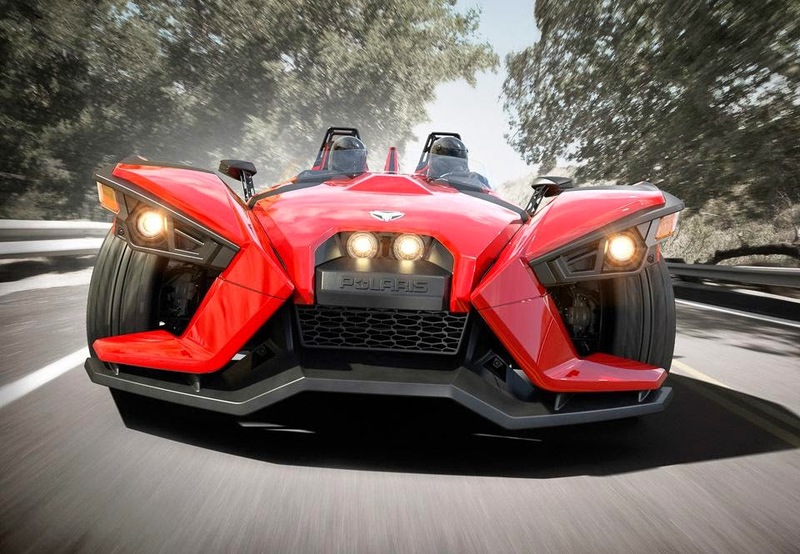 Called the 2015 Polaris Slingshot, the vehicle is powered by a GM-sourced 2.4-liter EcoTec engine which outputs 173 bhp (129 kW) at 6,200 rpm and 166 lb-ft (225 Nm) at 4,700 rpm, sending it to the rear wheel with help from a five-speed manual gearbox and a carbon-reinforced drive belt. 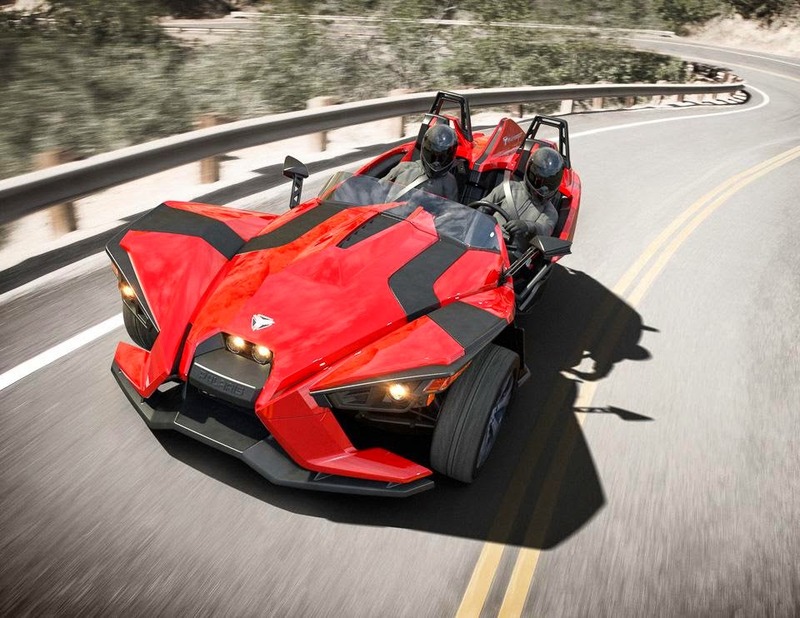 Not much else is known in terms of technical specifications, but with of only 1,700 lbs., the vehicle is certain to be really fast and agile. 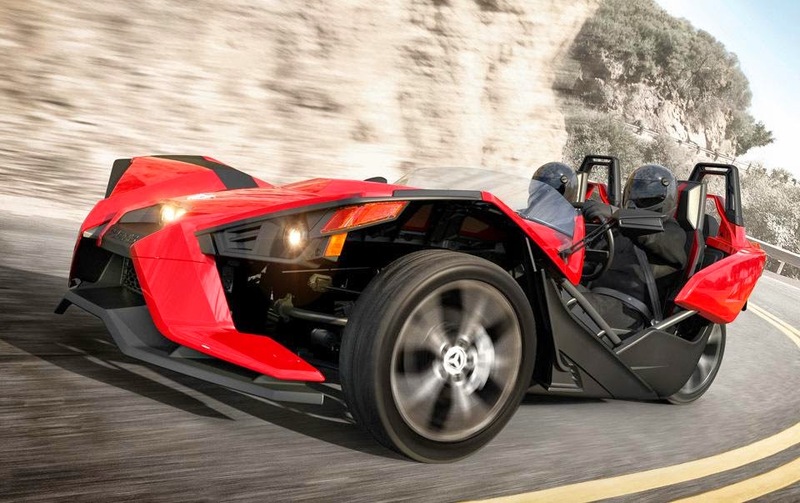 The Slingshot sits on 18-inch front wheels and a 20-inch rear wheel and is 149.6 inches long, 77.6 inches wide and 51.9 inches tall, with a 105-inch wheelbase and a 5-inch ground clearance. 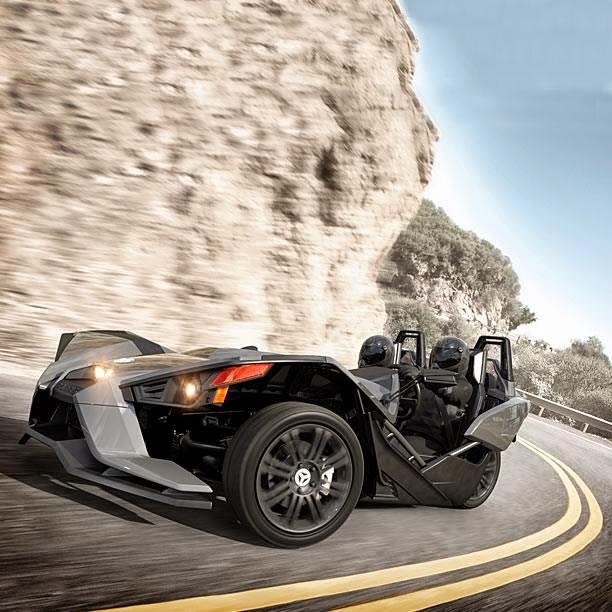 Adding to the three-wheeler’s appeal are features like projector-beam headlights, LED taillights, adjustable waterproof seats, locking glove box, tilt steering-wheel, three-point seat belts, and roll hoops. 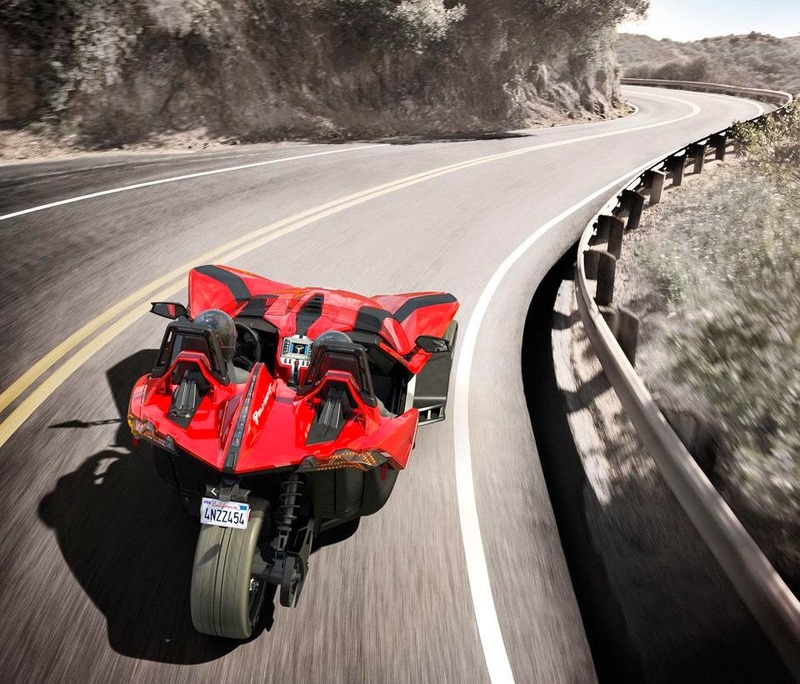 For entertainment, there’s a 4.3-inch LCD with Bluetooth, six-speaker sound system, USB support, and a backup camera.